A Checklist for Choosing the Right Pediatric Dentist for your Child. The American Academy of Pediatric Dentistry recommends that kids visit a pediatric dentist when their first tooth comes in or by their first birthday. Finding a pediatric dentist that takes good care of your child’s teeth while making the experience relaxed and fun, sets the stage for a lifetime of healthy teeth. Here’s our three-step process for finding the right pediatric dentist for your family. Step 1: Get a list of three pediatric dentists to review. √ Is the atmosphere friendly and positive? √ Are there age-appropriate toys, games, TV, etc. in the waiting room to keep your child’s mind at ease? √ Is the dentist office accessible and is there easy parking? Step 3: Give each pediatric dental office a call to further qualify process and expertise. √ Ask if the dentist and staff explain to your child what to expect? 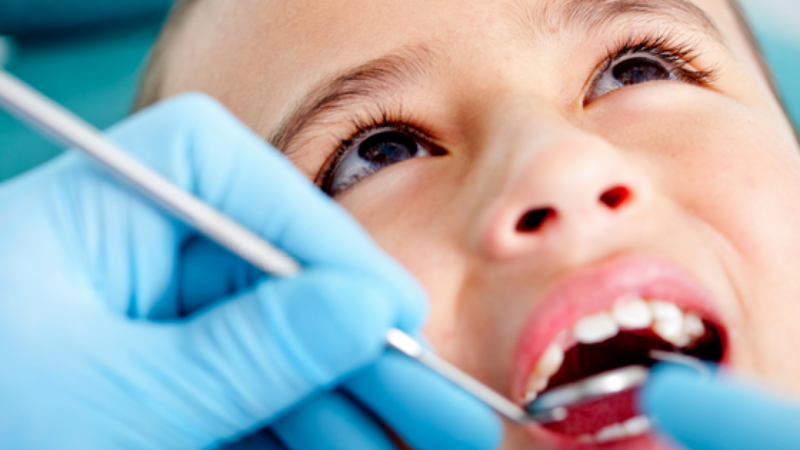 √ Ask how the dentist responds to scared or crying children? √ Is the office staff friendly and accessible? After you’ve screened each dentist, office and staff, it’s time to make a decision and book your first appointment. For a more detailed article about the first appointment, check out What to expect on your first visit & why it is important. Thanks for reading this step-by-step process for choosing the right pediatric dentist for your child. We hope it helps guide you to a lifetime of healthy teeth.